Some reviews compare this incredible desktop to Apple’s 21-inch iMac. The Asus All-in-One PCET2400IGTS-B008Eoffers a huge touch-sensitive screen, a quad-core processor, USB 3.0 ports, Blu-Ray, 1080p HD, SonicMaster Audio, HDMI, VGA-in, and wireless keyboard, mouse, networking, and IR remote. It does have a bit of bloatware and the apps are not particularly well-integrated, but those really aren’t a big deal in comparison with all of the great features that this has to offer. The Dell Inspiron i580-8139NBC is an incredible deal. It has a Core i3 processor, HDMI port, no bloatware, and expandability. The big issues are that it doesn’t have USB 3.0 or Wi-Fi. If you’re looking for a nice PC with all of the basic functionalities and a great price, this is the desktop for you. The Dell XPS x8300-5215NBK is considered to be a rather high-end desktop PC. It features high-end 3D graphics, a card retention bracket, HDMI DisplayPort, 8GB of memory, 1.5TB hard drive, and a Second Generation Intel Core processor. One thing that I was very disappointed not to see on this PC was a Blu-Ray player, but all of these other great features seem to make up for it. Obviously from the price tag, this desktop is definitely on the high-end list. Most people aren’t usually looking to spend this much money on a gaming desktop, but if you are, this chic PC is a great option. It has incredible performance, Blu-ray, USB 3.0 port, no bloatware, and a great cooling system. One of the biggest issues with this desktop though is that it is not easy to get into and there is no internal upgrade room, but if you can look past these few things and you have the money to spend, this is the gaming desktop for you. This is a great value desktop. It doesn’t necessarily have all of the bells and whistles, but it includes everything that you really need. 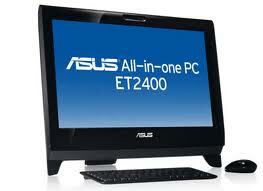 It is compact, offers expansion room (including the space for a second hard drive), and built-in dual monitor support. It doesn’t have TPM, only two memory slots, or any eSATA or DisplayPort. For a fair price, you can get everything that you really need from a desktop. The TouchSmart 310-1125y offers some incredible features for the price tag. It has an incredibly responsive touchscreen with full touch interface, a wireless keyboard and mouse, and fantastic entertainment options. It does only offer 1,600 x 900 screen resolution and low-powered 3D graphics, but when you consider everything that it has to offer, it is a great entry level touchscreen desktop. The Lenovo IdeaCentre K330-11691AU features up-to-date components that should keep you content with the desktop for as long as 5-7 years. It has a second generation Intel Core i-processor, no bloatware, HDMI, and an incredibly easy to upgrade tool-less interior. It offers some great, new technology that should keep it going for quite some time. So yes, the Lenovo ThinkStation C20 is quite possibly a bank breaker, but of course, there’s a reason for the high price tag. The desktop includes dual CPU Xeon power, ISV certification for a variety of different professional programs, card retention, and a 3-year warranty. It also is rack mountable, compact, and capable of driving two 30-inch panels simultaneously; however, it still is pricey and offers no USB 3.0 or FireWire. These are the top desktop computers on the market today. If you're looking for a new, chic desktop PC, you should definitely look into one of the computers above.